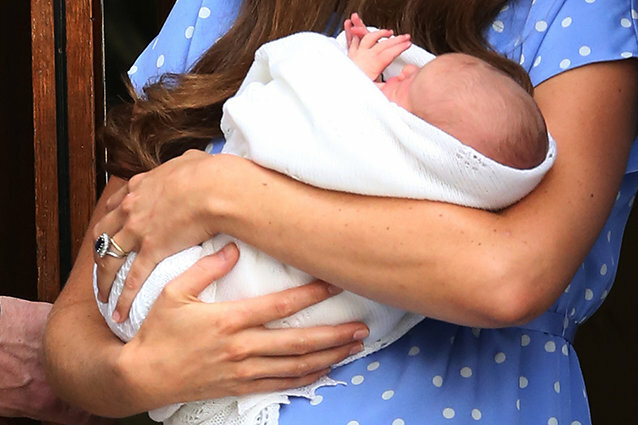 If you weren't completely distracted by Kate Middleton's lusciously flowing locks or Prince William's impeccable dental hygiene (for a Brit) upon their exit from St. Mary's Hospital in London, you may have noticed that they were holding a baby. While William joked about the baby's weight — you're going to give this kid a complex, Dad — and extraordinary hair growth, for the most part, the adoring crowd was privy to a baby-shaped figure wrapped in white swaddling clothes (and one exuberant baby hand, waving to the crowd). 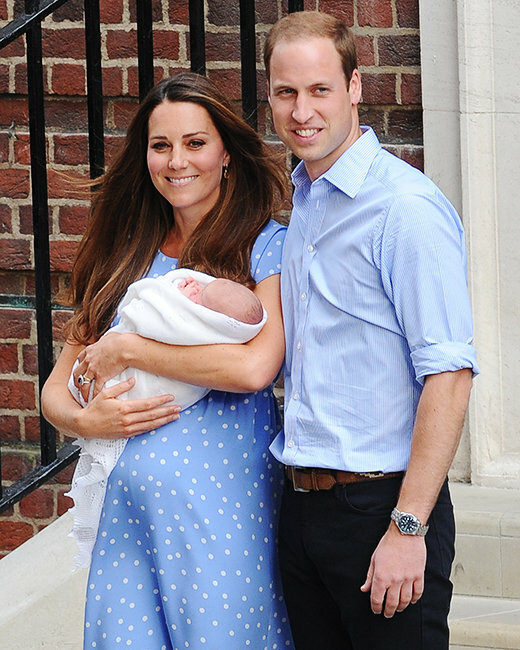 The #royalbaby is a little flushed, a smidge wrinkly, and super duper sleepy — just like most other newborns. Will is being a bit generous in saying he has "Kate's looks." Well, either that or the Duke has a rather strange opinion of his wife's appearance.